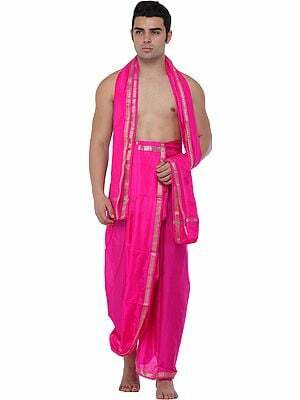 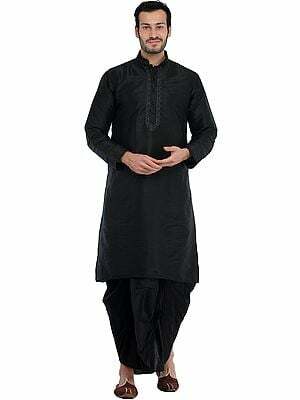 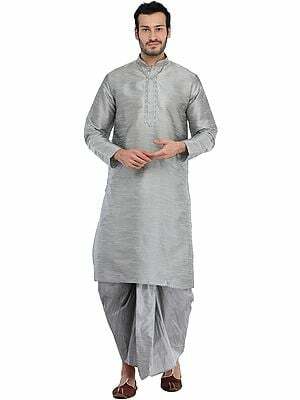 Art silk makes for the best blend when it comes to fashioning the dhoti and angavastram. 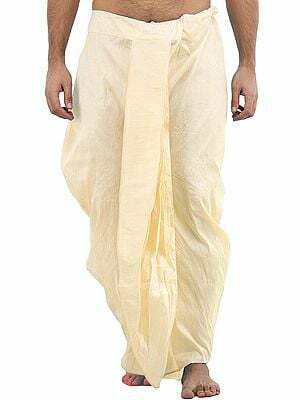 This readymade one from the Exotic India collection saves you the hassle of pleating your dhoti and having to mind them all day. 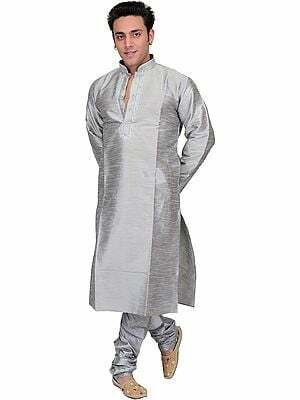 It comes in a range of glossy pastels, each set off by the gorgeously woven border in gracious gold. 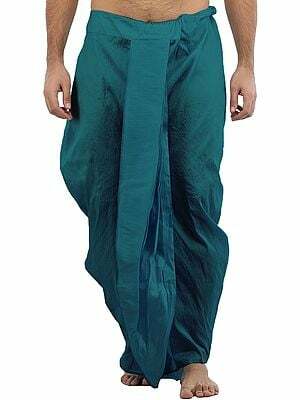 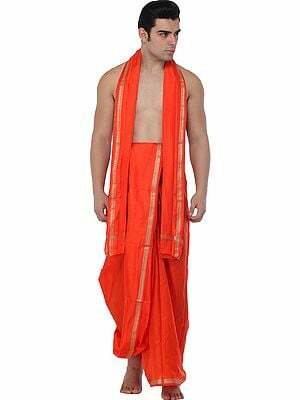 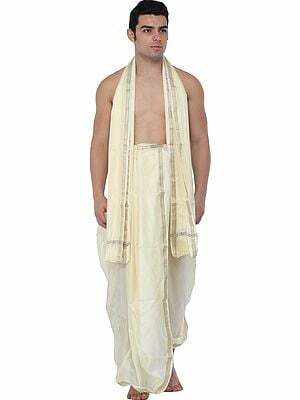 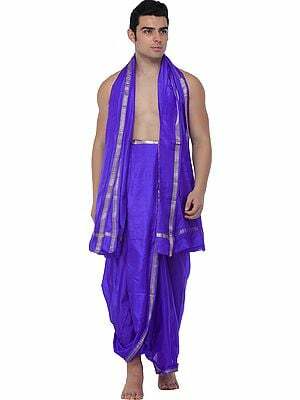 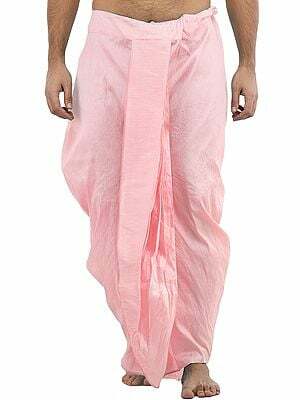 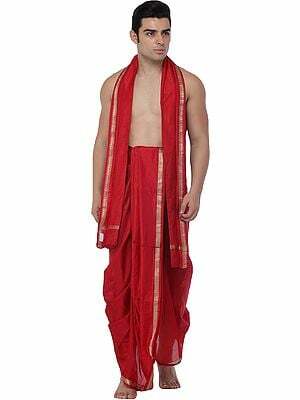 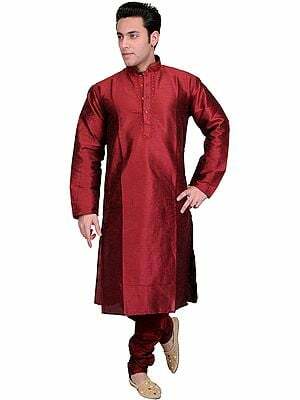 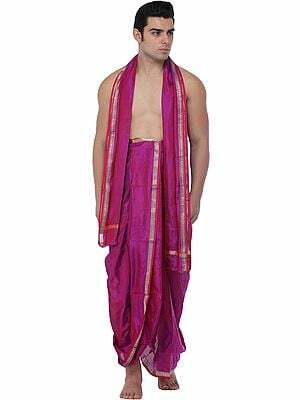 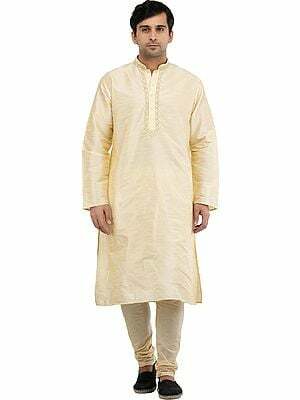 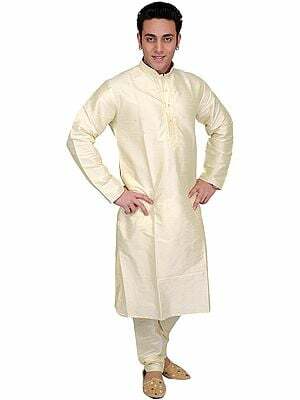 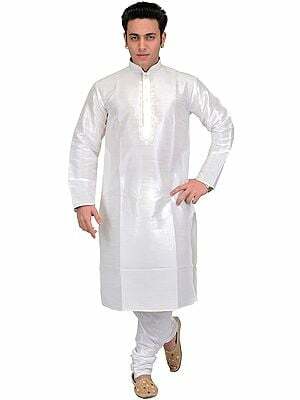 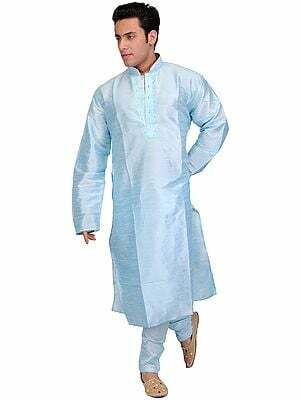 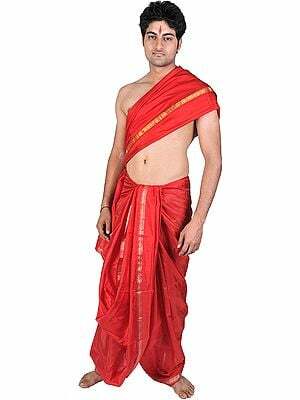 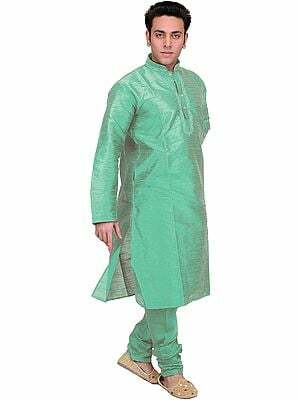 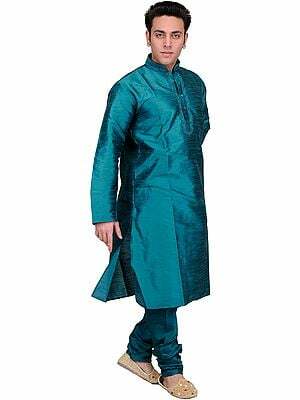 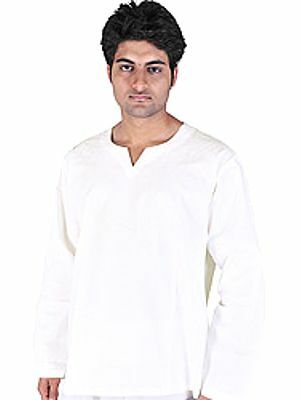 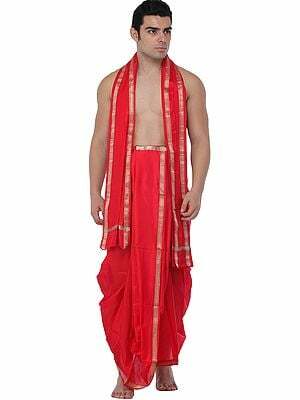 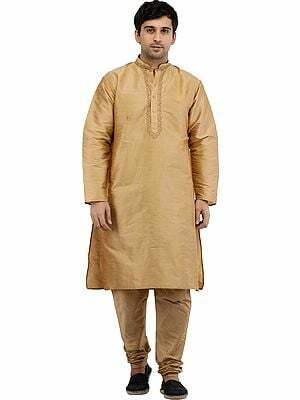 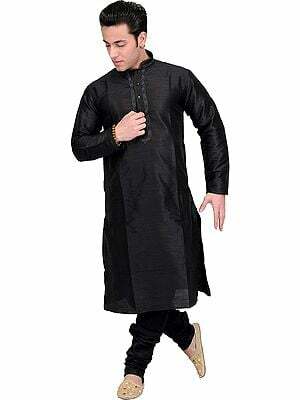 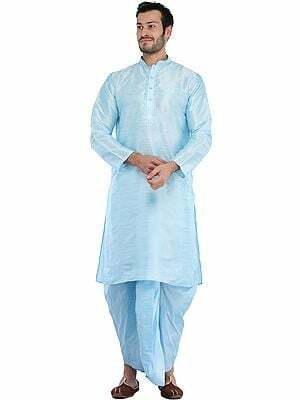 Upper Cloth Length 84 inches, Width 44 inches, Dhoti Length 42 inches.